The Trago Mills Steam Railway is also known as the Bickington Steam Railway after a local Devon village. The steam railway started life at Rudyard Lake in Staffordshire in 1978 and was built by Brian Nicholson the then headmaster of nearby Waterhouses school. After a couple of years he moved to the Suffolk Wildlife Park. Finally the railway and family relocated to Trago Mills in Devon in 1988 where it has remained. The railway is a complex layout with the original circuit plus the recent addition of a half mile extension. Its best described as a circle with a tail attached. The original station is at Trago Central to the East of the main shopping centre and is on the original circuit.. The new station Riverside is to the west of the centre next to the main car park. A new halt was added next to another car park and near some of the kiddies rides. 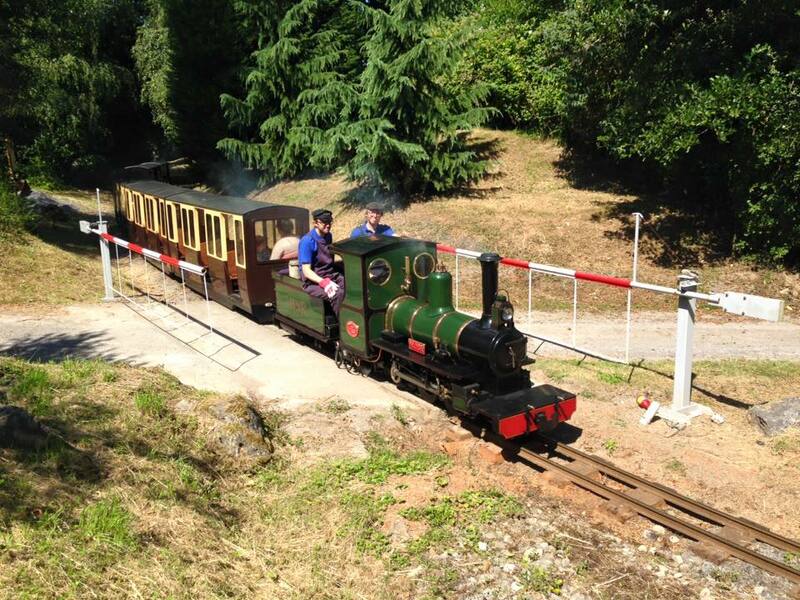 The train ride is 2.25 miles and exceptional value as it twists and turns around the trees and past the kids attractions at Trago. 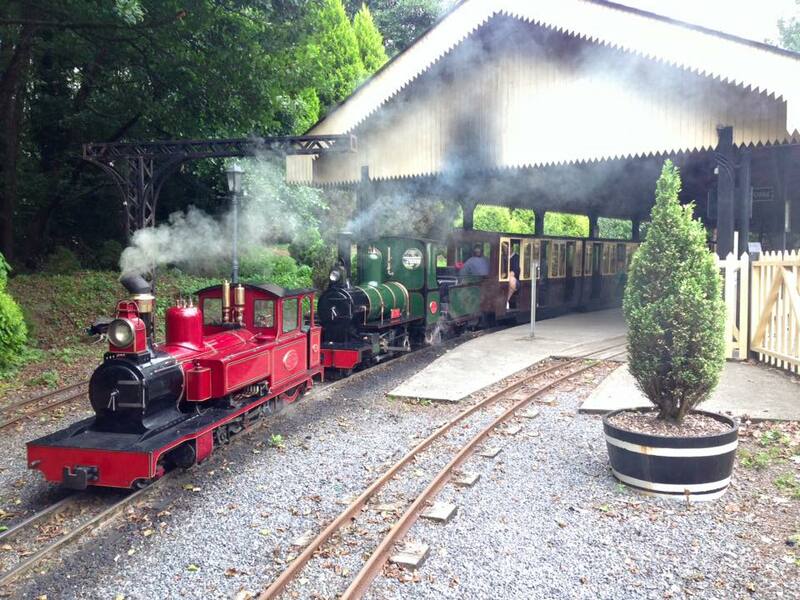 Its one of the UK’s top miniature railways and well worth a visit. Trago Mills is a shopping centre with a superb new garden centre attached as well as a wide variety of children’s amusements and attractions. the railway runs Santa trains in December which are very popular due to their excellent value for money.